Cooking Adventures With Kids | Tie your apron strings & say a prayer! 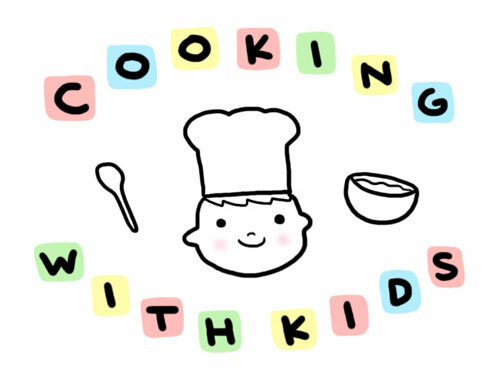 We're cooking with kids! Tie your apron strings & say a prayer! We're cooking with kids! On this blog, I plan to chronicle our adventures as I teach my kids to cook. you know what a challenge it can be. Get ready for laughs, spills and lots of love! My son is a much more creative cook than I have ever been and he loves coming up with his very own creative concoctions. And it’s just what it sounds like so you can do it too! Warm up a small skillet and put in 1 Tbs of butter to melt. Scramble 1 egg with milk, salt & pepper to taste. Pour into heated skillet. Allow to cook completely. Flip carefully and cook other side fully. 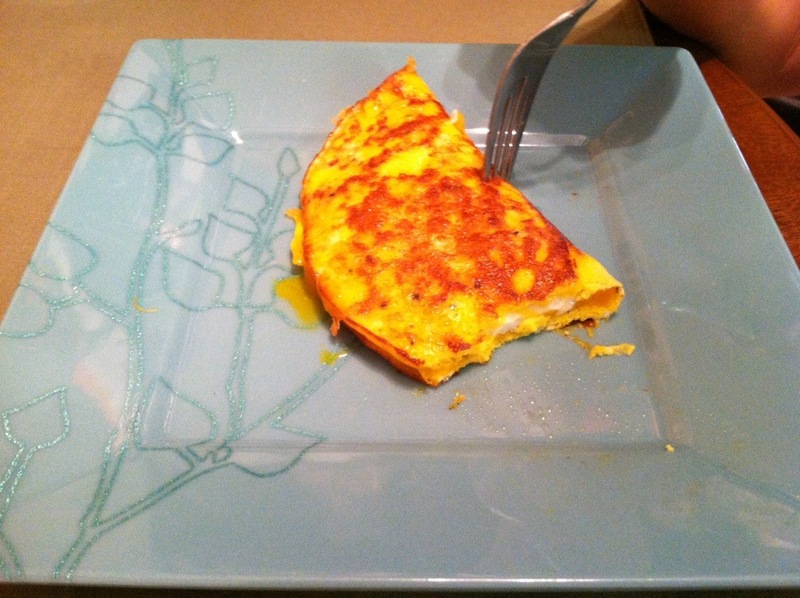 Remove finished omelet to waiting plate. 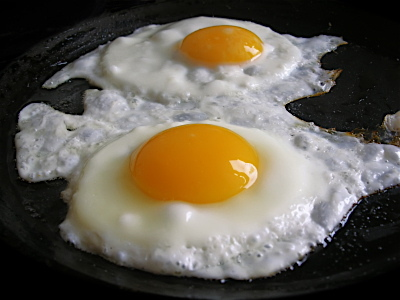 Fry your other egg(using the other Tbs of butter). When cooked to taste, remove carefully from heat, place on top of omelet, sprinkle with cheese and fold in half. I will have to start teaching him more things to cook and see what he comes up with! OK so this isn’t exactly something I did with the kiddos but it is something I did because I need my energy to be a good mom to the kiddos. I ran out of coffee creamer yesterday – which is tantamount to the end of the world for me. I need my coffee. Coffee is what keeps me standing and moving… nevermind smiling and thinking. Without coffee, those things are just not a part of my day. So I was desperate. And desperate times call for desperate measures. 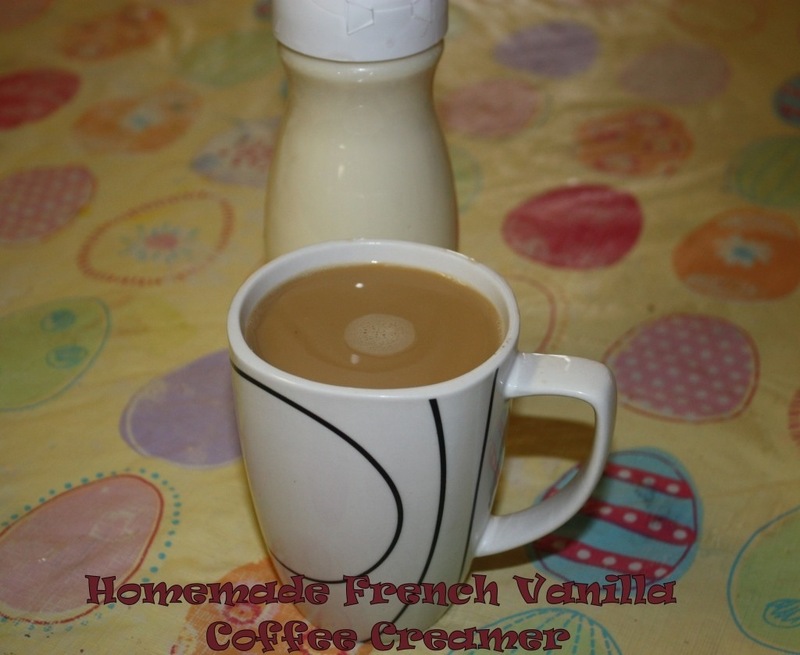 So I logged into google and found a recipe for homemade coffee creamer and thank goodness it was simple, otherwise I wouldn’t be here – writing this post. I would be searching our cabinets for those chocolate-covered coffee beans I stuffed back behind something over a year ago after deciding it was time for a diet. HERE is the fantastic website where I found my recipe. Full marks for making the post funny but really I’m just grateful it was easy to read for someone whose brain was not yet on. Hope you are enjoying all sorts of delicious food today! 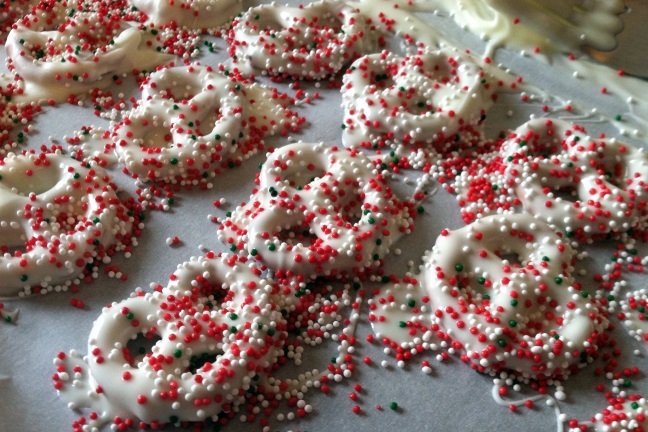 Make some yummy cookies with your kids! WOW! 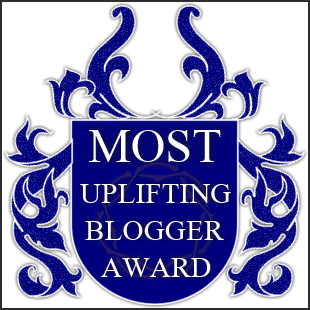 My first blog award here – MOST UPLIFTING BLOGGER AWARD – THANKS! This is the very first blog award I’ve received for this blog! I don’t know what’s so uplifting about this blog (funny maybe) but I really appreciate the thought! Make sure you let the bloggers know they’re nominated. “Ellie’s Bites” Decorated Cookies – Anyone who can do THIS with cookies and two kids underfoot is highly inspiring and uplifting! WOW! Free Cakes for Kids Hackney – What a WONDERFUL thing they’re doing! APPLAUSE! I hope you find some blogs among this list that will inspire and lift you up! I know I have! WOW! I am Thankful for my beautiful children. They couldn’t be more of a blessing to me! I am Thankful for God’s gift of family! What would we do without them? I am Thankful that God created Chocolate! I am Thankful for the COFFEE bean and the wonders we can get from it! I am Thankful to have children who enjoy cooking! I am Thankful God gave me a sense of humor and such a bright outlook on life! I am Thankful for wordpress – without whom none of this would be possible! What recipes do you enjoy making with your children? What recipes do you want to try out this year? What recipes are traditions – handed down from generation to generation? Whatever you bake/cook/eat this year, Have fun with it! It’s Almost Christmas! We need Chocolate! How many of you have made these with your kids? The most important thing is the fun. 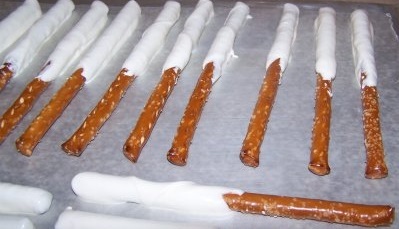 The kids can make a mess because the whole table is covered with wax paper and everyone enjoys sneaking a pretzel or two. It’s a good lesson about God too – if you think about it. Here you have this funny looking pretzel. It’s brown, it’s bumpy and covered in salt. It has little holes all over where air bubbles have popped. But when you dip it into the chocolate, it transforms into something pretty, new, smooth and soft. God’s love is like that. A great opportunity to share the story with your children. A “teachable moment” as they say. And God Bless you and your family this Holiday season! They don’t even need me anymore. Recently, my son went into the kitchen and fixed eggs “Sunny Side Up” all on his own. Where did he learn this you ask, if not from me? 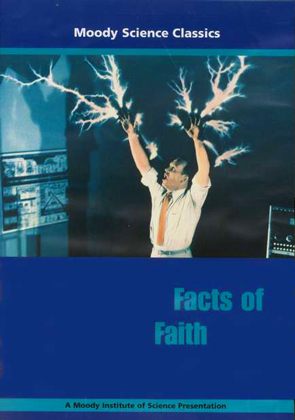 From a science DVD: Moody Science Series “Facts of Faith”. If you haven’t seen these, they really are a FANTASTIC resource, whether you home-school or not. They teach children about science in a fun and interactive way. My children watch them over and over and over. You really should consider investing in them for your own children. And apparently, they can also teach cooking… LOL! Just to clarify, he didn’t do this without supervision. I’ve told him he has to have permission and supervision to cook anything so he told me what he wanted to do and I went to watch. The irony here is that I’ve never been very good with Sunny Side Up eggs (or Fried Eggs as some call them) so I was not much help to him. I suppose I can take a little credit because I taught him the basics of cooking eggs but the credit for how good he is with these particular eggs lays entirely with Dr. Moody. And I’m thrilled. I don’t have to worry about not doing them well, because HE DOES! The rest of the video was really interesting too. LOL! Bake Through the Bible Blog Award Breakfast Chocolate Christmas cookies Cooking Ironies Eggs Everyday cooking Everyday Cooking Funnies Holiday Baking Kids... Messy NEWS Pillsbury ready-bake welcome! "Readers are our Rock Stars"
Never give in...Never back down...Never lose faith. Mention the Cello. Do it. "Be generous, kind and noble to your children and make their habits and manners good and beautiful"
Lost in His love through homeschooling and art! Reading is a journey to be enjoyed!